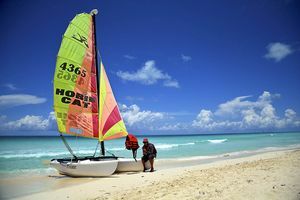 If you still don’t have plans for Summer vacation, don’t worry, our offer of traveling to Cuba in June is unbeatable. 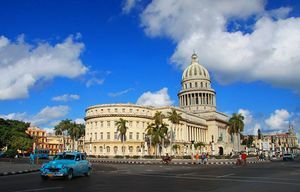 What’s more, you’ll get to know the most rhythmic and lively country through us, a Cuban agency with years of experience. Whatever dreams have floated through your head, we will make them a reality thanks to our economic, personalized trips. 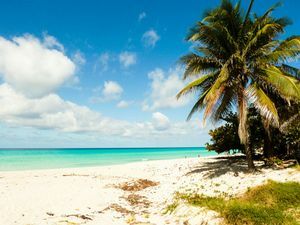 Cuba has much more to show you than you expect, and a great time to visit it is in June when, apart from visiting its splendid beaches and Cayo Santa María, Cayo Coco or Cayo Guillermo or the flawless Varadero, you will be able to delve into its own authentic culture. One good example of this is the Jornada Cucalambeana, and event which, as a matter of fact, takes place in Las Tunas in June, and which will completely immerse you in one of the areas most important festivities. Don’t forget to include your interests while filling out the form and we’ll make your journey a once-in-a-lifetime experience.